Lip balm is a must-have product for me that is needed for throughout the year. Most of us use lip balm to keep our lip well hydrated and moisturized in dry or cold weather. A good lip balm always works well if you have dry lips or if you have tended to lick your lips that cause peeling and cracking lips. In such cases, you have to use lip balm every day. In today’s post, I am reviewing a lip balm from Kronokare, I have been using the Frizz Kiss Cooling Explosion Lip Balm since a few month before the review. Let’s get into the details. Our super-rich Vitamin E lip balm is a delicious mix of peppermint, shea butter, and Sunflower, which seriously restores tired tissues and keeps your lips cool until the next kiss.Phewf. 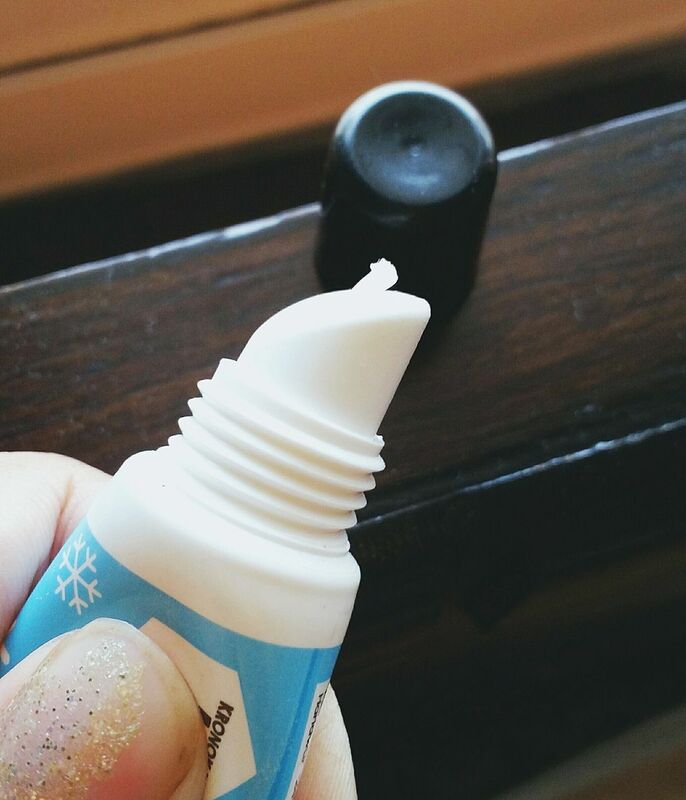 The packaging of Kronokare The Frizz Kiss Cooling Explosion Lip Balm is very cute which comes in a light blue-white color and snowflakes printed tube packaging with a simple plastic black twist open cap. Due to the tiny size and tight cap, it can be easily carried around in a bag. 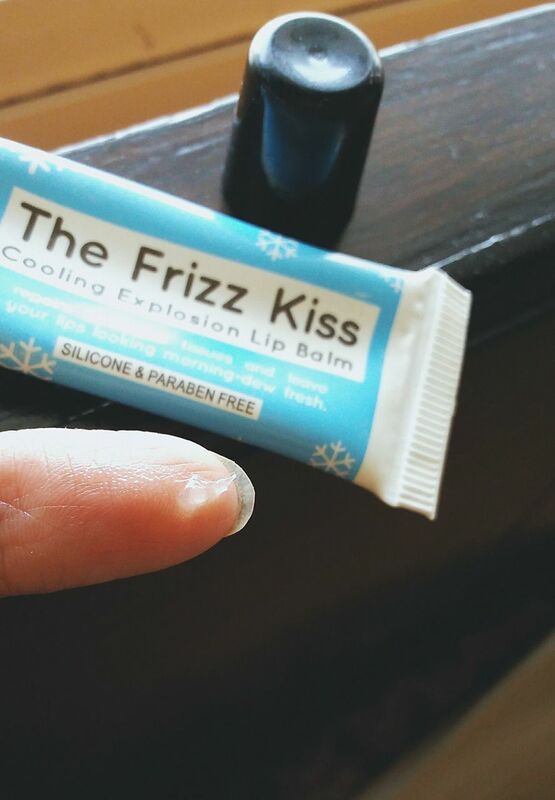 The Frizz Kiss Cooling Explosion Lip Balm is a colorless lip balm. The texture of the lip balm is like Vaseline. The consistency of the product is quite a thick and slippery as similar as the vaseline petroleum jelly. Just after application immediately gives a lovely cooling sensation on lips and that vanishes within a minutes. It has a peppermint and beeswax smell. It is not an artificial smell at all. It feels natural and very refreshing. This lip balm contains almond oil, sunflower oil, Vitamin E Acetate, beeswax, peppermint essential oil to lock in moisture, condition, nourish and protect the delicate skin on your lips. The lip balm has no SPF contain so I'm using it in the afternoon and at night. I have dry and chapped lips but since I started using this lip balm every night before bed my lips are fully healed. This is one of my favorite lip product, especially during the winter. Even this balm can be used for every season. It keeps my lips moisturized for 2 hours after fading away. It doesn't make the lips greasy at all. If you have chapped and dry lips problem, then you can apply it as per your requirement. Overall, I'm pretty happy with this Kronokare The Frizz Kiss Cooling Explosion Lip Balm. Kronokare The Frizz Kiss Cooling Explosion Lip Balm which is made by blending essential oil with beeswax almond oil and sunflower oil etc. Which make my dry chapped lips feel soft and supple and it gives a slightly glossy finish to the lips. The price is decent for the amount of product you get. This is a good product for the winter time. 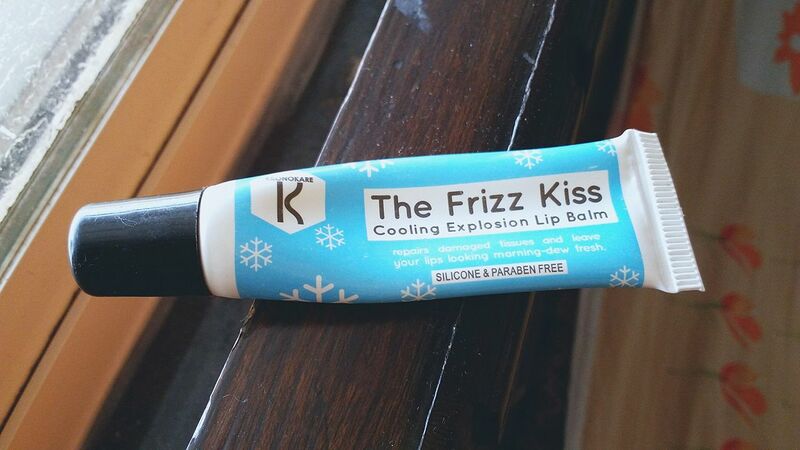 Have you tried Kronokare The Frizz Kiss Cooling Explosion Lip Balm?